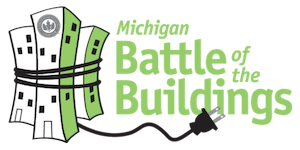 As a participant of the 2015 Michigan Battle of the Buildings I commend all of you on making a commitment to becoming more energy efficient. This competition is a creative way to launch sustainable energy efficiency practices and will benefit businesses across the state by helping them learn more about energy efficiency technologies and behaviors as well as best practices for reducing energy consumption. 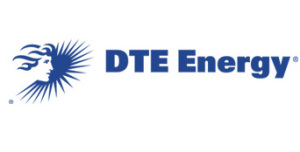 We are proud to be a sponsor of this program because DTE Energy wants to help customers obtain the most value from the energy they use; help Michigan achieve reasonable energy conservation; while at the same time support the state economy. In 2009, DTE Energy launched energy efficiency programs to help customers to save energy and save money. We offer rebates on energy efficiency programs and we educate customers on ways to save energy. There are two main incentive programs for business customers, prescriptive and non-prescriptive, both aiming to offset the upfront cost of installing energy efficiency measures. With more affordable installation of high-efficiency equipment and energy efficient behavior and practices, the benefits to your bottom line can be achieved long term and the payback can be realized fairly quickly. Throughout these next 12 months, you are encouraged to take advantage of the energy efficiency programs and education that we offer. Information, interactive tools, videos, program information and rebate applications can be found on our web site at dteenergy.com/savenow. At this time, I’d like to wish everyone good luck in the Michigan Battle of the Buildings Competition!